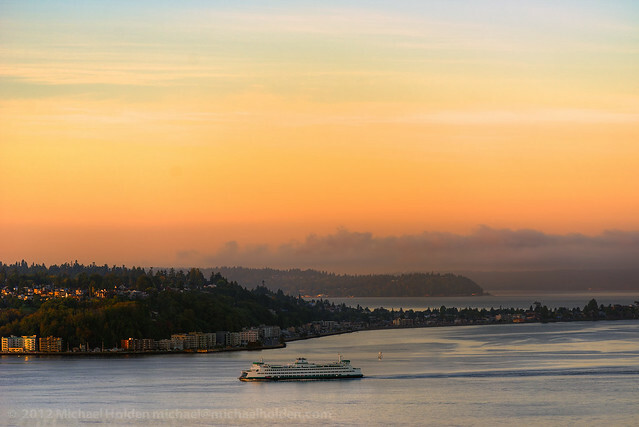 Ferry, West Seattle/Alki Beach & Puget Sound – by Michael Holden. Photo from Flickr. Seattle has consistently been rated as one of the best places to live in the U.S.A. With a temperate maritime climate, Seattle rarely experiences snow in the winter and enjoys relatively dry warm summers. An average maximum temperature in July and August is 75 degrees F with less than 40% humidity. Seattle offers all the cultural and sporting activities available in a large city. With more than one-and-a-half million people living in the greater metropolitan area, Seattle is the largest American city north of San Francisco and west of Minneapolis-St. Paul. Seattle is renowned for its theatre, opera, espresso stands and micro-breweries. Perhaps Seattle’s greatest asset is its proximity to the Cascade and Olympic Mountains and the waters and beaches of Puget Sound and Lake Washington. For example, the nearest ski area is less than a one-hour drive from the city. Graduate students and faculty alike can easily escape into the wilderness whenever the pressures of academic life become overbearing.